Karen Minyard, PhD, has been CEO of the Georgia Health Policy Center (GHPC) since 2001 and is also a research professor with Georgia State University’s Department of Public Management and Policy. Karen connects the research, policy, and programmatic work of the center across issue areas including population health, health philanthropy, public and private health insurance coverage, and the uninsured. She has experience with the design of program reforms to the state Medicaid program, as well as its external evaluation. 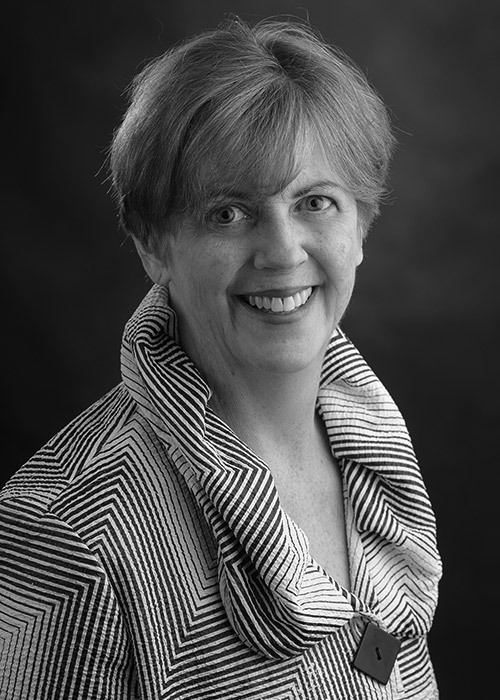 Her research interests include financing and evaluation of health-related social policy programs; strategic alignment of public and private health policy through collective impact; the role of local health initiatives in access and health improvement; the role of targeted technical assistance in improving the sustainability, efficiency, and programmatic effectiveness of nonprofit health collaboratives; and health and health care financing. In addition to overseeing the center’s overall strategic vision, Karen plays a leadership role in several center projects that weave together the key learnings, skill sets, and areas of expertise of the GHPC. She is currently co-principal investigator and spearheading evaluation efforts for the GHPC’s efforts as the national coordinating center for Bridging for Health: Improving Community Health through Innovations in Financing, sponsored by the Robert Wood Johnson Foundation. Karen also serves on the executive trio of the Atlanta Regional Collaborative for Health Improvement, along with the Atlanta Regional Commission and the United Way of Greater Atlanta.